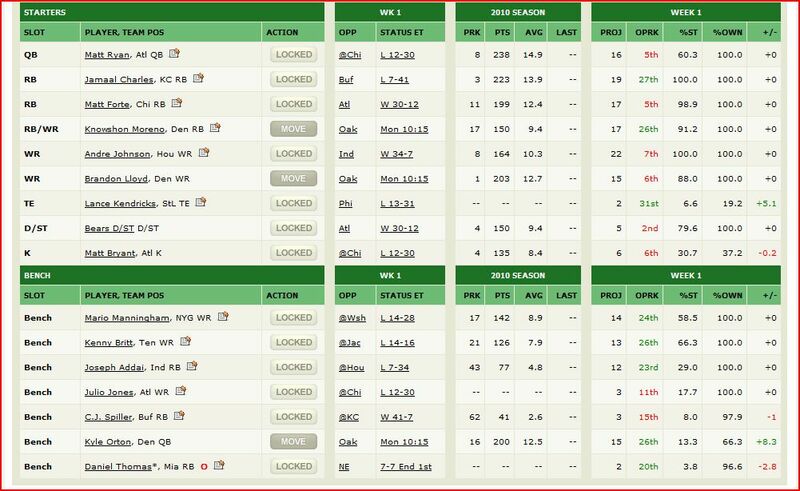 I’d like to show you my fantasy football team. 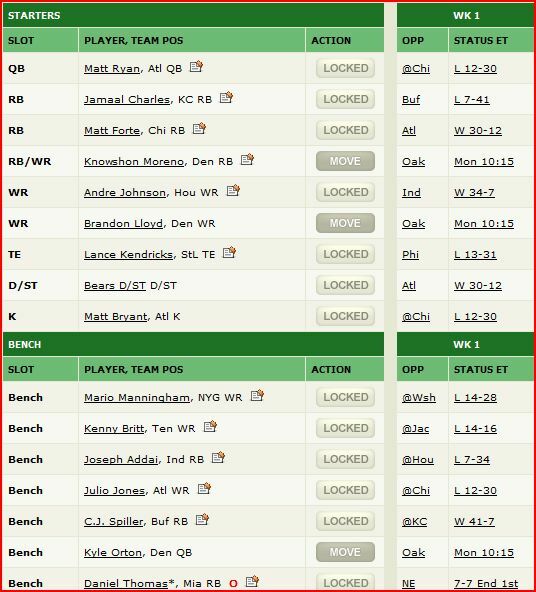 With the 6th pick in my ten team league I was able to get both Jamaal Charles and Andre Johnson. The rest of the team turned out okay too. I plan to post about this team as the season progresses. Hopefully my posts will culminate in an article about a second straight fantasy championship. Later this week, I will share insight on the reasons why I made my picks. Hopefully you’ll understand.